Although there is no such thing as a maintenance-free landscape, it is possible to have an attractive landscape that is easy to care for. Good planning, design, plant selection and timely maintenance will reduce the amount of care that a landscape needs to look its best. Planning is essential to the development of a low-maintenance landscape. Extra time spent in planning will be repaid many times over in later leisure time. Analyze Site: Begin with a thorough study of the features of your garden site. This will include site conditions, problem areas, desirable areas and views. Plot these factors on a sketch of your garden site for future reference. Determine sun and shade patterns for all areas. Does the area receive different light at different times of day or in different seasons? Some plants do well with full morning sun but cannot handle the hotter afternoon sun. Other plants that can handle full sun in summer are subject to sunburn in winter. 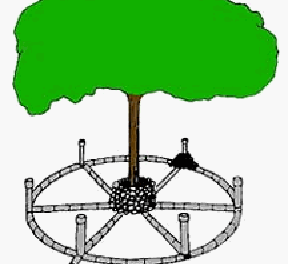 You will also want to locate patios, shade trees and arbors according to sun patterns. Evaluate the maintenance needs of existing plants and structures. Identify the existing plants and determine their condition and future growth. A tree that will tremendously outgrow its present location may be easier and less expensive to remove and replace now than later. On the other hand, you may have features that are of unexpected benefit. A solid bed of moss under trees can mean that you will never need to mow that area. Check soil drainage and storm runoff. Areas that stay wet can be lethal to many plants, and damaging to structures. Either regrade or install drain tiles to improve drainage, or plant that area only with water-tolerant plants. The type of soil in your yard will also affect drainage rates and the types of plants that will thrive. A soil test will determine if soil amendments or fertilizers are needed. Identify areas such as steep slopes that may cause maintenance difficulties. Lawns on steep slopes can be both high-maintenance and unsafe. Plan to replace the grass with groundcover or use terraces and retaining walls to reduce severe slope problems. Analyze Your Needs: Determine what your needs and desires are for your yard. Families with young children will need play areas that are safe and easily watched. Plan your landscape around the kind of activities that you and your family engage in. Outdoor sports and yard games require a lot of lawn space and sturdy plantings. Large paved areas are desirable for outside entertaining. Remember the needs of outdoor pets. Dogs can severely damage gardens unless they are confined to a separate area. Consider the amount of time that you can afford or want to spend in yard maintenance. New gardeners should start with easier plantings than an experienced gardener would put in. Start small and simple until you know how much you like gardening. Many people enjoy some aspects of garden care and dislike others. If you dislike spending time watering, choose only drought-tolerant plants or install an irrigation system. Those who hate to rake can choose trees with fine leaves that disappear into a lawn. Take into account the physical abilities of the users and their ability to perform different maintenance jobs. Wheelchair access requires wide paths without overlapping plants. Raised beds are helpful for gardeners who have difficulty kneeling. You will also need to allow room for such practical purposes as clotheslines, trash can storage, compost and pet runs. Many of the maintenance needs of a garden are determined by the design. By following a few simple guidelines, you can build in ease of care from the start. Simplicity: Keep the planting design simple. Make certain each plant in the plan serves a purpose. Elaborate plantings require a great deal of attention. Simple plantings, using only a few plant species, can be both attractive and easy to manage. Materials Selection: Some elements of a landscape need more care than others. Generally, paving such as patios and walks require the least care. They are followed by structures such as sheds and arbors, then trees, shrubs, ground covers, and lawns. Bulbs, annual and perennial flowers, and plants that need special care such as roses need the most maintenance. Since few of us would want a garden without any seasonal flowering plants, the maintenance impact can be reduced by planting high-care plants in limited numbers and where they will have the most impact. Beds: Planting beds are easier to maintain than many isolated plantings. It is easier to mow around a bed with a continuous edge rather than around individual plants. Gentle curves or straight lines are both easier to care for and more pleasing than complicated curves and shapes. Avoid sharp corners or narrow strips that mowers cannot reach. Beds should be narrow enough for easy access, or be designed with steppingstones or paths through them. Edging: Edging saves maintenance by keeping mulch in and lawn out. Steel, aluminum and plastic edgings are readily available. A very attractive edging can be constructed of pavers or brick laid flush with the lawn. This kind of edging will reduce the need for hand trimming. While a spade cut edging will need to be recut seasonally, it will keep bed edges defined and neat. Hardscaping: Patios and decks are low-maintenance choices for high traffic areas that will not allow the successful growth of grass or other groundcover. Sidewalks, patios and edging around beds should be low and flat, permitting a power mower to ride up over the surface and eliminating the need for hand edging. Walks, patios, steps, walls, fences or shelters will need periodic maintenance that will vary in frequency based on the materials used. When considering various landscape and construction materials, compare the initial cost and maintenance to long term cost and durability. Natural Areas: Some areas, especially on properties with large trees, can be allowed to return to their natural state. Woodlands are the natural condition for most areas of the state. This option will require periodic care to remove undesirable weed species. Wildflower meadows require little supplemental irrigation once established, and generally do not require fertilization. They are an attractive alternative to the traditional lawn since they need mowing only once a year. This operation controls the growth of tree and shrub seedlings, and if done in the fall, helps to spread the wildflower seeds throughout the area. Establishing a meadow garden will require effort initially to control weeds until the young plants or seeds are well-established. While a meadow garden need not be weed-free to be attractive, it will require occasional maintenance to control vigorous or invasive weeds. The success of a wildflower species or mixture depends on the adaptability of the species to a given area. Be sure to choose mixes that are suited to your area. Xeriscaping: The use of drought-tolerant plants in watering zones will help to lower water use and reduce maintenance. All the plants within a zone should have the same water requirements and can be watered as a group. High-moisture plants should be limited and located where they can be reached easily with a hose. Plants that rarely need supplemental moisture can be used where a water source is not convenient. Lawns usually use the most water in a landscape. By using decks and patios, groundcovers and shrub beds, you can limit lawn size and still have an attractive yard. Care Zones: Keep small areas near the home highly manicured and allow areas farther away to naturalize. Group plants of similar cultural needs to save time in site preparation and care. It is difficult to provide proper water and light to all plants if those with dissimilar needs are mixed together. Drainage & Moisture Control: Use plants that require little or no extra water after they are established near buildings. Drier soil cuts down on mildew problems and moisture damage and discourages insect pests like termites and roaches. Make sure that the ground close to the house is graded to channel water away from the house. Make sure that roof drainage is channeled to at least 10 feet away from the house with drainpipes. Ground covers should be at least 6 to 8 inches below any untreated wood, and groundcovers and organic mulches should be kept at least 12 inches away from the house’s foundation in order to avoid giving a bridge to termites. This area can be filled with crushed gravel or stone. Allow for adequate air circulation around the structure for vents and to prevent mildew. Selecting the right plants is a very important step in establishing your landscape. Selecting the improper plant can increase your maintenance chores through excessive pruning, extra watering and additional spraying to control insects and diseases. Selecting the right plant can reduce these chores and increase the time you have to enjoy your landscape. When choosing plants for your landscape, you should know the characteristics of the plant such as mature size and shape and whether it is evergreen or deciduous. Select plants that are pest-resistant; hardy and heat-tolerant for your area; and adapted for the sun, soil and moisture conditions in your yard. Avoid plants with messy fruits, pods or shedding branches. Select plants that will not grow beyond the desired height and spread. Select plants suited to the growing conditions rather than try to change the conditions to suit the plants. Trees & Shrubs: Most woody plants require less maintenance than other plants, but some species and cultivars are easier to care for or more pest-resistant than others are. Select slower-growing trees and shrubs to eliminate or reduce the need for pruning. Since these plants are long-term investments, make sure that they will not outgrow their space. Groundcovers: Most ground covers need less water than turfgrass, so replacing some of your lawn with a ground cover will conserve water. Groundcovers are often better choices than turf for steep slopes difficult to mow or shady areas where grass does not grow well. Beds of groundcovers at the base of structures such as fences will help eliminate tedious trimming. Ground cover plants need more maintenance when first planted to prevent weeds until the area is covered. Fertilizer and closer spacing of plants speeds ground cover establishment. Vines: Vines can require very high maintenance if improperly sited or can contribute greatly to your landscape. Vines are excellent for providing a fast screen. They will give height to a landscape while needing little ground space and are therefore useful in small gardens. Make sure that vines are given adequate support and that you have time to keep them pruned. On steep banks where a lawn will not grow, vines may be used as groundcovers. Flowers: While flowers need more maintenance than any other plants, few gardeners would want to eliminate them. To provide color along with easy upkeep, select plants that are well-suited to your site, and use them in limited areas where they will have the most impact. Annuals need to be watered frequently and should be deadheaded frequently. They must be replanted every year. Perennials come back year after year, but many need deadheading to look their best, and some must be divided every few years. Many perennials need supports to keep them from flopping. Naturalizing bulbs is an excellent way to provide seasonal color with low care. Other Plants: Roses and other specialty plants often require more maintenance than other types of garden plants. This does not mean that you need to completely forgo your favorite roses. You may want to try to grow them only in a small area though and select tougher plants for the rest of your yard. You may even be able to find certain types and species of roses that need a bit less care. If your passion is water gardening, have a small pond, one that can be cared for in time that you have available. Native plants are often recommended for easy maintenance, but keep in mind that most home sites bear little resemblance to original soils or conditions. Make sure that you choose plants suited to the current conditions on your site. Lawn: Lawns can be either moderately low-or very high-maintenance, depending on the type of grass and the standard of perfection you want to achieve. Lawns need at least weekly mowing during the growing season. Mow regularly to produce a healthy and dense lawn that will outcompete weeds for sunlight and nutrients. Remove no more than one-third of the grass height at any one mowing. To minimize landscape maintenance, consider reducing the area of the yard devoted to turf. Keep large enough grassy areas for entertaining needs and play areas, but convert excess turf areas into plantings with lower maintenance needs. 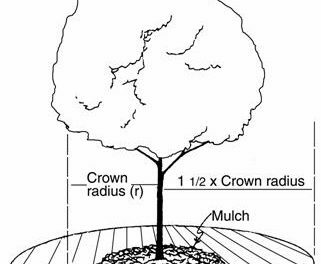 Soil Preparation: Trees, shrubs, and other landscape plants must be planted properly and receive the right amount of water if they are to establish themselves and flourish. For more information on correct planting methods, refer to HGIC 1001, Planting Trees Correctly; HGIC 1052, Planting Shrubs Correctly; HGIC 1058, Azalea Planting, and HGIC 1100, Groundcovers. Selecting Healthy Plants: Look for plants with healthy foliage and make sure they are rooted firmly in the soil in the container or ball. Check to see if the plants have plenty of live, light tan or white roots. Avoid plants that are root-bound or with roots exposed on the surface or growing out the drain holes. Mulch: Mulch beds with 2 to 3 inches of shredded bark, pine needles or other organic material. This will reduce weeds, retain soil moisture and keep soil temperatures moderate. Keep mulch away from direct contact with stems of shrubs and trees to avoid pest problems. Watering: Provide adequate water to new plantings until they are established. Typically, one or two full growing seasons are needed for roots to extensively develop into surrounding soil. Check for water needs in the root ball, not in the new planting hole. 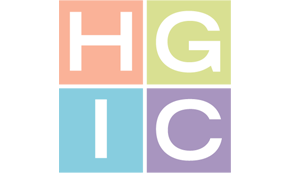 For more information on best watering practices, see HGIC 1056, Watering Shrubs & Trees. Plants are living organisms that need routine care to thrive. Following correct maintenance procedures on a timely basis can minimize maintenance. Fertilizer: It is always best to base fertilizer applications on the results of a soil test. Appropriate applications of fertilizer as needed can improve the appearance and condition of plants. Excessive fertilizer can cause rapid growth that may be more susceptible to insect and disease attacks and will require more pruning. Other problems that can be caused by over use of fertilizer include fertilizer burn and water pollution. Pest Control: Check plants for disease and insect outbreaks regularly. Problems are much easier to control if caught early while they are affecting only a small area. Before treating a possible pest problem, make sure that it has been correctly identified. Make sure that the insect is actually a pest, since many insects are beneficial. Also find out the correct methods of control and proper timing. You’ll find information on controlling pests appropriately in HGIC 2755, Integrated Pest Management (IPM). Yard Trimmings: Grass clippings can be allowed to remain on the grass to decompose. Your lawn will recycle the clippings naturally, saving you time, money and energy. Disposing of leaves, grass clippings and other garden refuse is often a problem for gardeners, particularly in an urban area. These garden and landscape byproducts can be turned into useful compost with little effort. Watering: Lawn and gardens need enough water from rain or irrigation to wet the root zone, generally 1 inch per week on clay soils. Sandy soils that drain rapidly may need to be watered with one-half inch of water every three days. Plants will need more water during periods of rapid growth, while flowering and in high heat or windy conditions. They will use less water during cool, damp weather. Adjust weekly watering to your soil needs. Irrigation systems can save much time and effort if correctly installed and designed for your planting needs. Overhead sprinklers or pop-up heads on an underground irrigation system are appropriate for lawns. In flower-beds, spray-type emitters must be placed higher for proper water distribution. For trees, shrubs and flower-beds, drip irrigation may be the most efficient system. Hardscapes: Walks, patios, steps, walls and fences will need periodic maintenance. The type and frequency will vary with the materials used. For example, a concrete patio would not need maintenance for 20 to 30 years, whereas a brick in sand patio needs to be re-set every three to five years. Brick set in mortar should last 20 to 30 years. Painted wooden structures and fences need repainting every three to four years. However, woods such as redwood, bleached or stained with a preservative, usually last for the 20-year expected life span of the structure. Pruning: Take care of pruning needs early. Cut out weak, narrow crotches on branches, crossing branches or competing branches while they are still small. Pruning jobs become more difficult with time. Avoid planting trees and shrubs where they will outgrow their allotted space without frequent pruning. Tools: Power tools can make short work of many maintenance operations. However, make certain they are the right tools for the job. While string trimmers quickly mow down weeds and grass around buildings and fences, they should be used with extreme caution around trees. The force of the trimmer line can cause injury to the bark, leading to girdling and death. Mowing: Mow at the proper height to allow grass to develop deep roots that are more efficient in using soil moisture. Correct mowing height also reduces weeds.